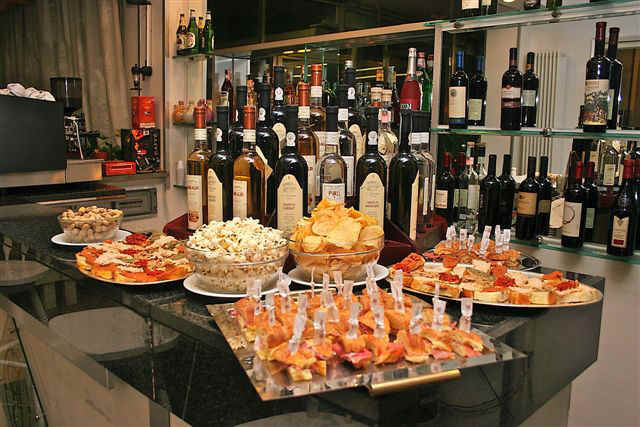 The Aperitivo, a tradition coming from the North of Italy has now become very popular in Rome too. No longer just a quick cocktail with some snacks, but the premise to drink, sit calmly and quietly, accompanied by an appetizer buffet, is now spreading around. 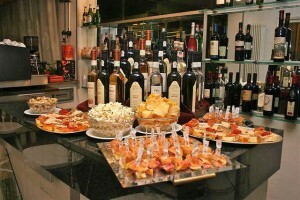 The City offers various kind of Aperitivo, depending on your tastes: with food, alcoholic or cheap. One of the most known and visited places in Rome is Double Zeroo (Doppio Zeroo, Via Ostia 68), near the University of Roma3. Former bakery, this restaurant offers aperitivoo (with two “o”) from 18.30 till 21. The buffet is abundant ( unlimited pizza is prepared ), It ’s perfect for youngs who prefer lively places. If you look for a cheaper drink we would definitely recommend the bar “Celestina” (Via Ausoni 62) in San Lorenzo district, the University area in Rome. Frequented every night by many students who will take over the sidewalk on the streetoutside, after the pub is full. The cocktails are good value for money(3.50 euros), but if you wish to eat the buffet you’ll have to hurry, otherwise you won’t find anything left … Ideal for an aperitif before a walk in San Lorenzo. For those who prefer an economical solution could rely on any bar, where cocktails are not very expensive, but you may have to do it with pretzels and peanuts. What would you rather have: an abundant, economic or an alcoholic Aperitivo? Hello, i believe that i saw you visited my blog thus i got here to “return the prefer”.I am attempting to in finding things to enhance my site!I assume its adequate to make use of some of your ideas!! Wonderful goods from you, man. I’ve understand your stuff previous to and you’re just too wonderful. I really like what you’ve acquired here, really like what you’re stating and the way in which you say it. You make it entertaining and you still take care of to keep it sensible. I can not wait to read much more from you. This is actually a terrific website. Your blog is so amazing. I will show it to my friend.